Office para folks around Dalhousie and families around central Kolkata have much to cheer for. The Chutney Co. – the south India cafe (from the same group that own Piccadilly Square) in BBD Bag has come with a festival ‘When Anna Met Alice’ as part of their 3rd anniversary. This festival is an initiative to bring together the best of South Indian and European cuisine. While the items on the menu are all known to us, they have all been given an European twist. Begin with Basil Bonda which pairs traditional Aloo Bonda with basil cream-cheese. Munch on the Madras Mezze with Anna’s version of tzatziki, hummus, and fattoush served with appalam. 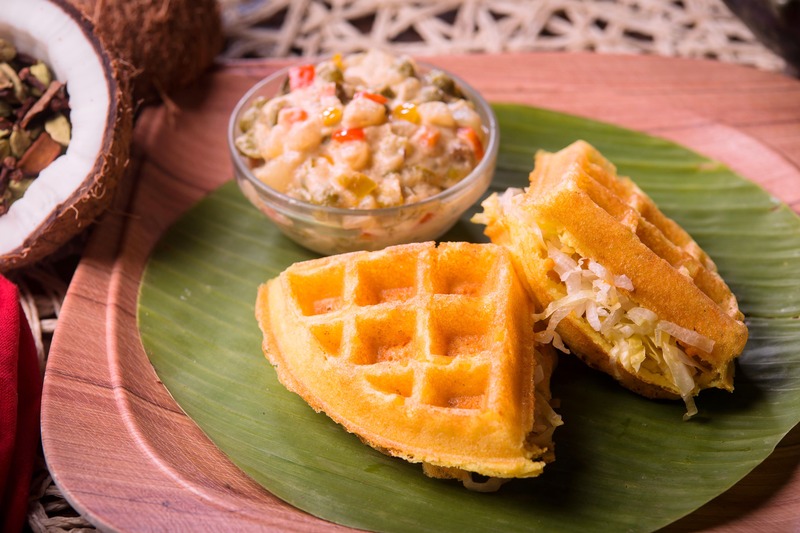 Another classic example of two worlds brought together is Doffales – or dosa-waffles. Served with regional curries, Doffales are crispy on the outside and soft on the inside. The variants on offers are Avial Doffale (with Kerala-style vegetables) and Mushroom Kurma Doffale (packed with spices and chillies). You’ve had idli before but the Aglio Olio Idli will blow your mind – idli strips tossed in olive oil along with roasted garlic and basil. The star on the menu is Anna’s favourite creation is Mangalorean Risotto made with southern spices, a hint of tamarind and smooth cream cheese. End the meal with Buttermilk Gelato with baked cheese crumbles. A meal for two would cost around INR 700. What: When Anna Meets Alice. Where: The Chutney Co, BBD Bagh. When: On till July 6.